When we get the girls' club together (that is, when my mother and my three younger sisters and I all get together), it's generally an event full of dessert, hashing, and rehashing. This past weekend was certainly no exception, as my sister Stephanie was home on fall break; we celebrated with cookie dough egg rolls and apple pie (recipe coming soon!) with salted caramel sauce [not on the same day, mind you! ], and, of course, we served it all up with plenty of good conversation and some pumpkin carving. This particular salted caramel sauce is not too difficult in the world of caramel sauces: you don't have to risk burning your hand off while stirring it, and it's pretty easy to see when it turns that nice golden-amber color if you make it in a big saucepan. Most importantly, this sauce has a nice buttery caramel flavor, which I prefer over a darker, toffee caramel. And, according to my mother ("I hope you are planning to leave this jar with me! "), it even goes well on peanut butter & jelly sandwiches. 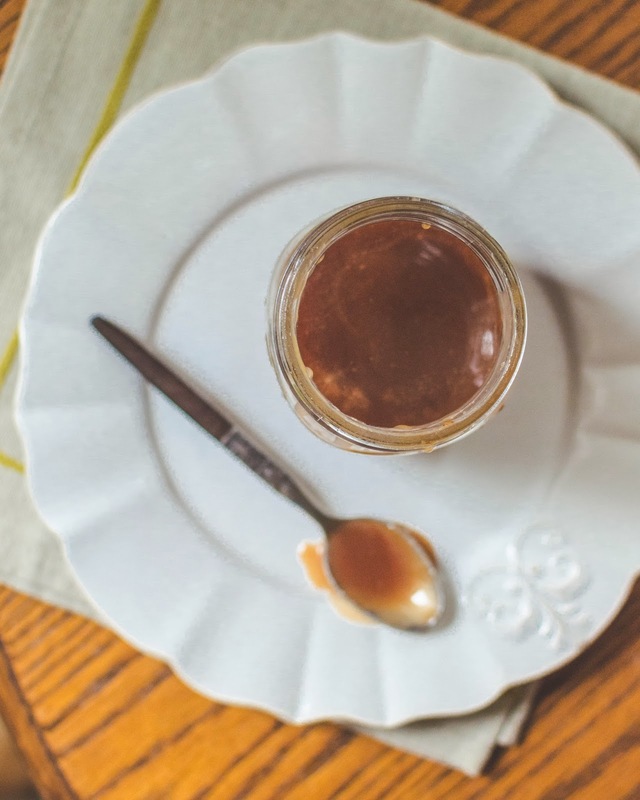 The key to making caramel sauce is to first set out every ingredient in an easily accessible place; also, read the instructions thoroughly first! In a large heavy-bottomed saucepan, combine sugar, water, and corn syrup. Stir together with a wooden or heat-resistant (e.g. silicone) spoon. Cook over medium heat for about 1 to 2 minutes, and then cover the saucepan and cook over medium for another 3 minutes. After 3 minutes, remove the lid and increase to medium-high heat. Bring the mixture to a boil. Do not stir from here on out, but instead, occasionally swirl the pan around to evenly distribute the heat if necessary. 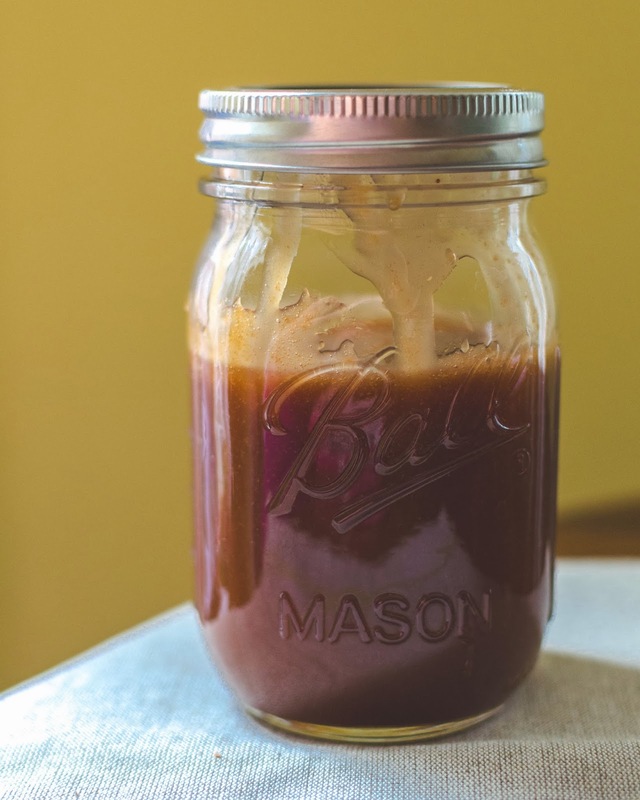 Cook until the caramel turns an even amber color (see pictures), and then remove from heat. Let cool for about 30 seconds before carefully (!) adding the heavy cream (be careful, as it will bubble up!). Whisk the heavy cream in, followed by butter, lemon juice, and salt. 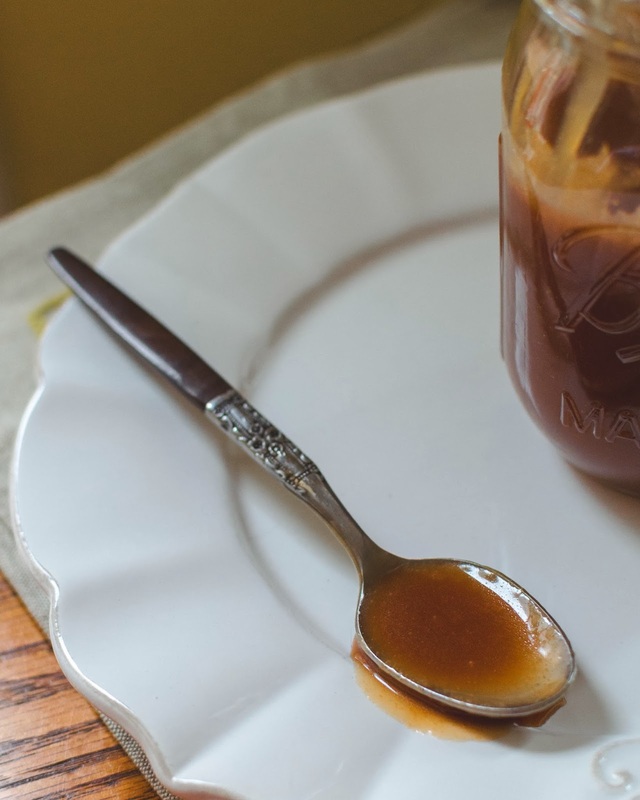 If your caramel is seizing up, go ahead and put the saucepan back over gentle (i.e. 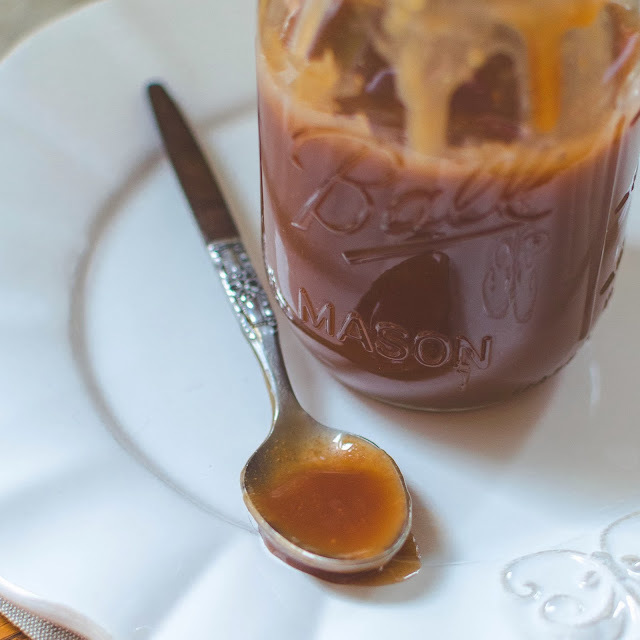 low) heat and stir until a smooth caramel sauce has formed. Pour into a glass container (e.g. pyrex measuring cup, mason jar, etc) until cool enough to touch. Store in a sealed container in the fridge. Microwave in a glass bowl in 30-second intervals to reheat the caramel sauce when you would like serve it warm. Adapted from Kimberly Taylor Images. 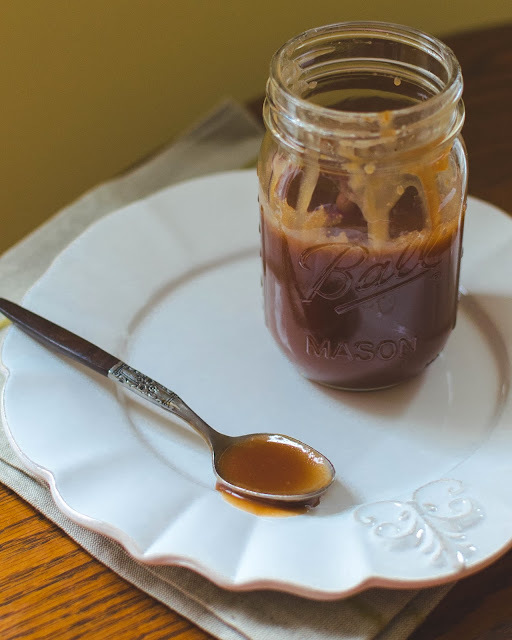 the best caramel sauce ever!